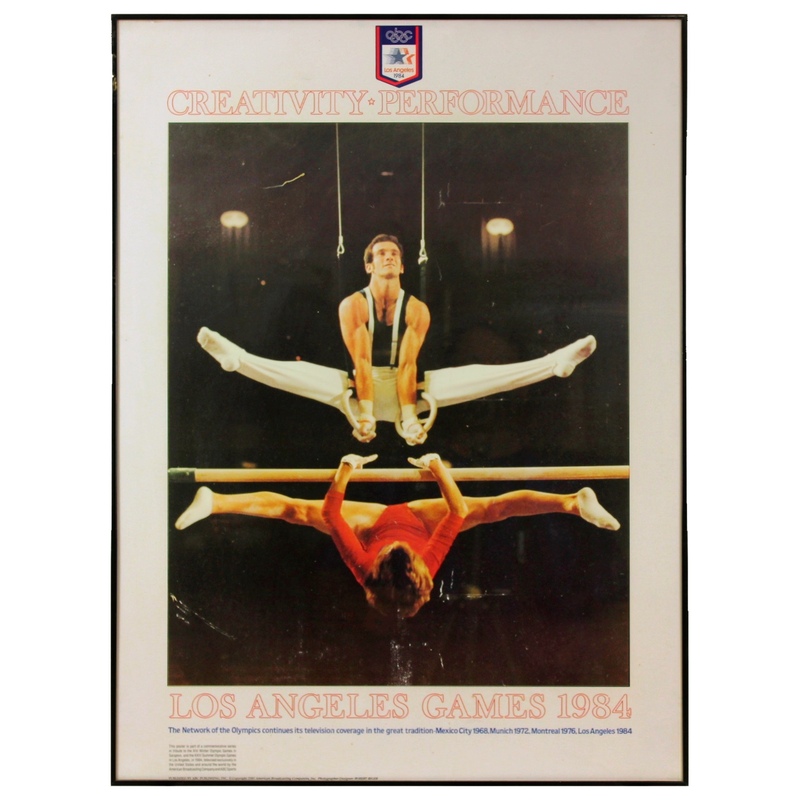 Description: Promotional poster advertising the 1984 Los Angeles Olympic Games. Has offical UAOC authenticity seal. Offset lithograph on paper. Print is in a frame and has been exposed to various levels of uv light affecting colors. No major damage noted.